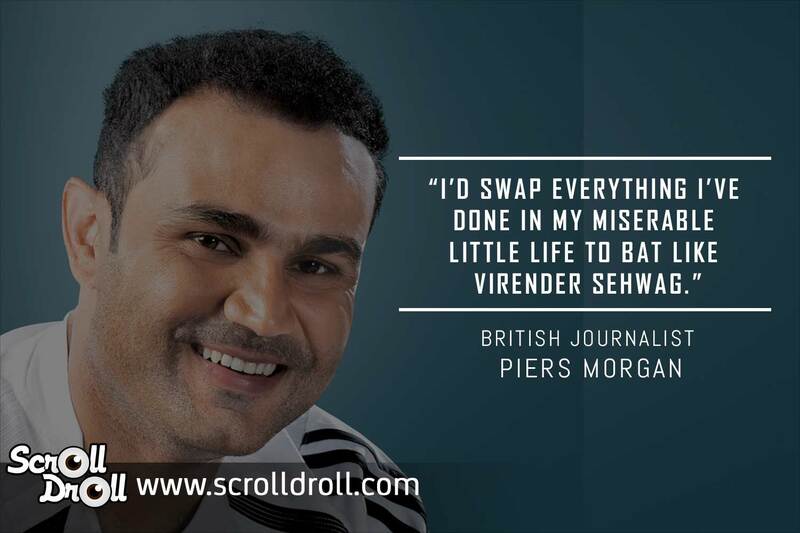 One of the most attacking batsmen the world cricket has ever seen, Virender Sehwag will always be remembered for his extraordinary ability to demolish the strongest bowling attacks, hitting boundaries under tremendous pressure and playing fearlessly against the fiercest of opponents. 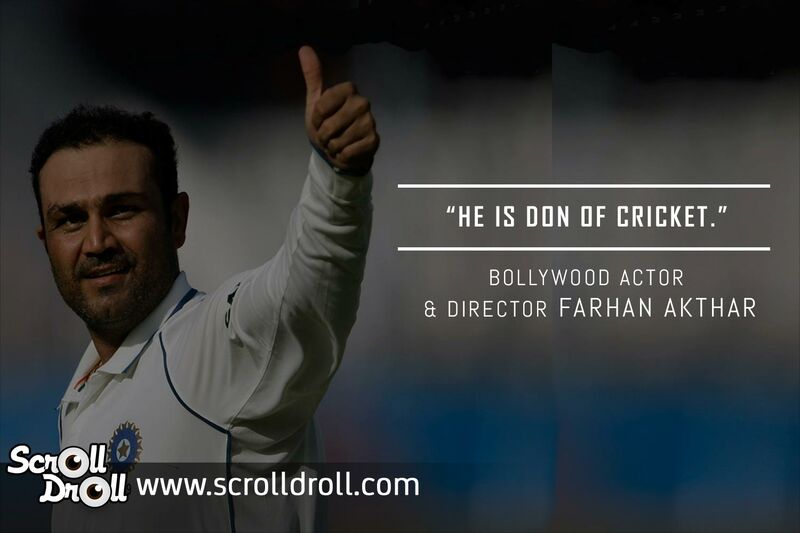 Every cricket fan would cherish seeing the Nawab of Najafgarh open the Indian innings with Sachin Tendulkar. 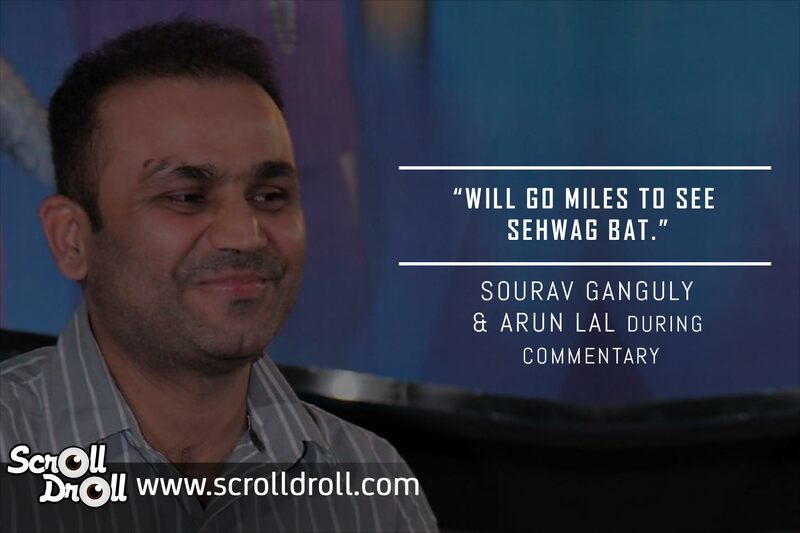 More than the runs, boundaries and centuries, what made Sehwag a force to reckon with was the way he scored them. 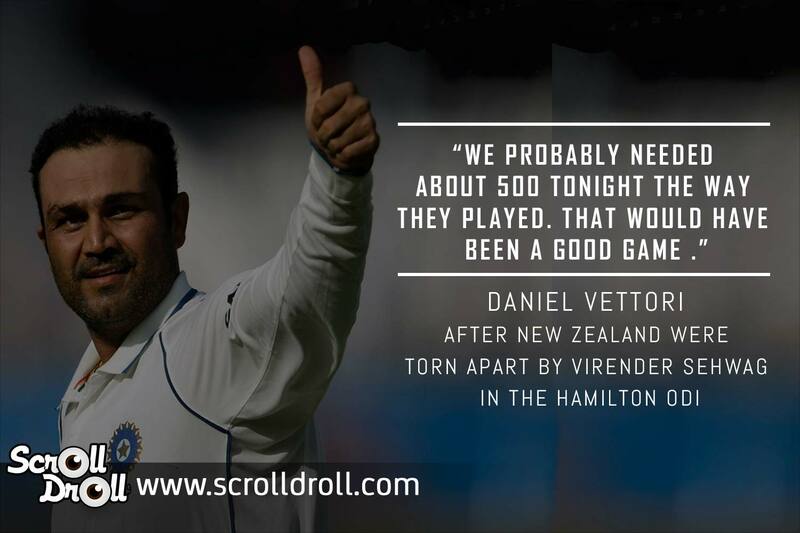 The initial overs of a Test Match suddenly became interesting with Sehwag taking the strike. Centuries were reached by stepping off the track instead of a cautious single. 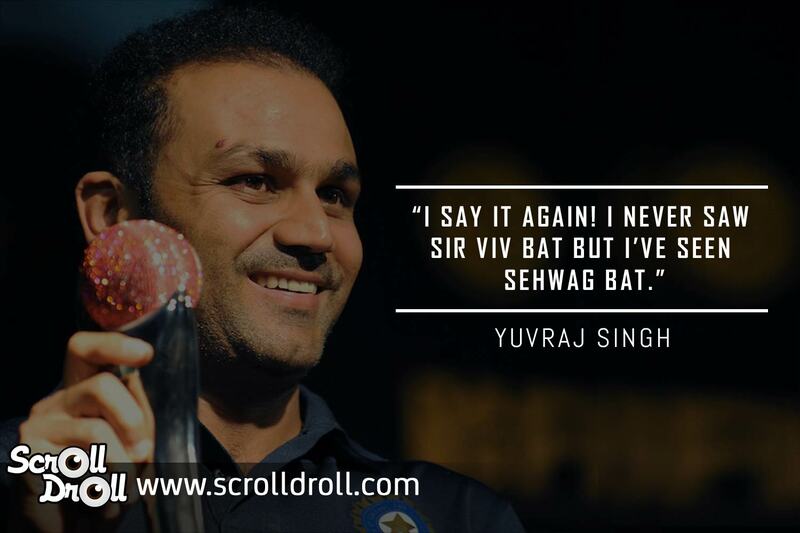 We bring you 16 best quotes on Virender Sehwag from the greats of the game and the cricketing fraternity. 14. The famous six against Saqlin Mushtaq to complete his first Test Triple Ton! 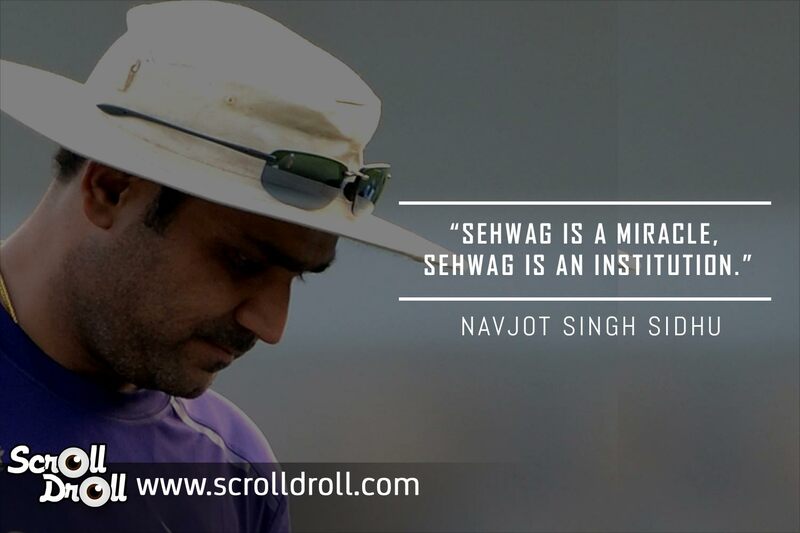 For his genius game plan, ferocious batting and fearless play, Sehwag will forever be an integral part of world cricket. 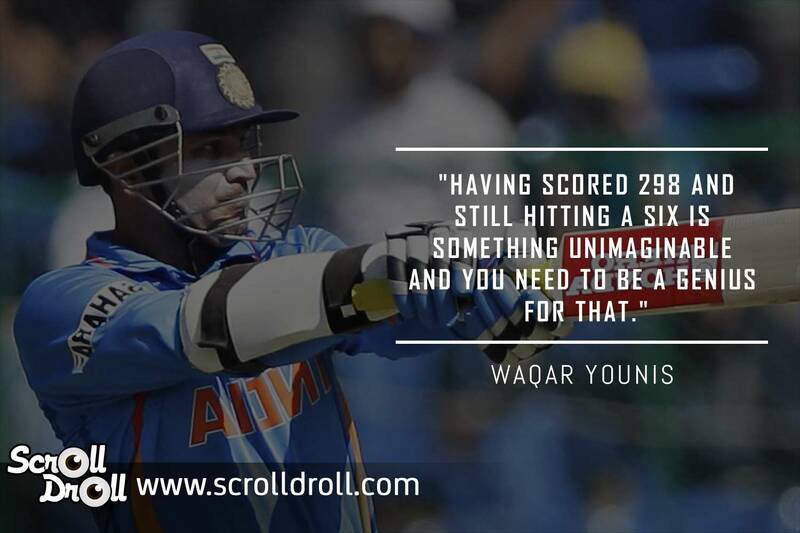 He has definitely set up a high standard of batting which will impress and influence many, across the ages. Since there’s no one like him, he is and will always be hailed by legends, throughout the world.